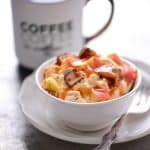 This Pumpkin Spice Apple Snickers Salad recipe is an updated version of Apple Snickers Salad. It’s perfect for fall celebrations and for Thanksgiving! 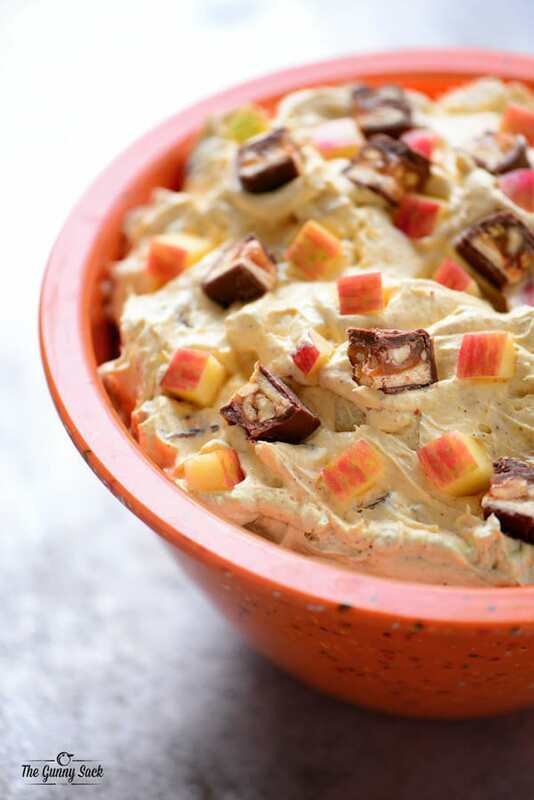 We all know and love the classic Apple Snickers Salad recipe with apples, whipped cream, and Snickers. Some of us add pudding, some of us add caramel sauce but no matter how you make it, it’s delicious. This fall, I went with a pumpkin version and added cream cheese for a little cheesecake flavor. 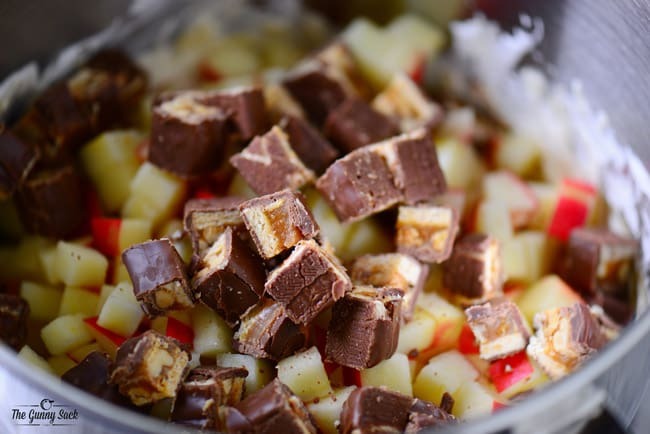 This Pumpkin Spice Apple Snickers Salad is easy to whip up and it’s always a hit! 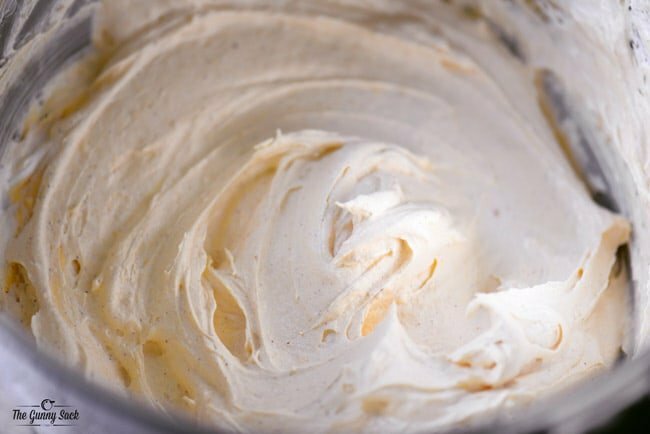 Beat softened cream cheese with a stand mixer for two minutes. Add the powdered sugar, pumpkin puree, and pumpkin pie spice. Stir with the stand mixer, scrape the bowl and then beat until smooth. Dice two large apples to get about 3 cups of diced apples. Cut up five or six full-sized 1.86 ounce Snickers. Add the diced apples, chopped Snickers, and whipped topping (or whipped cream). Stir to combine. 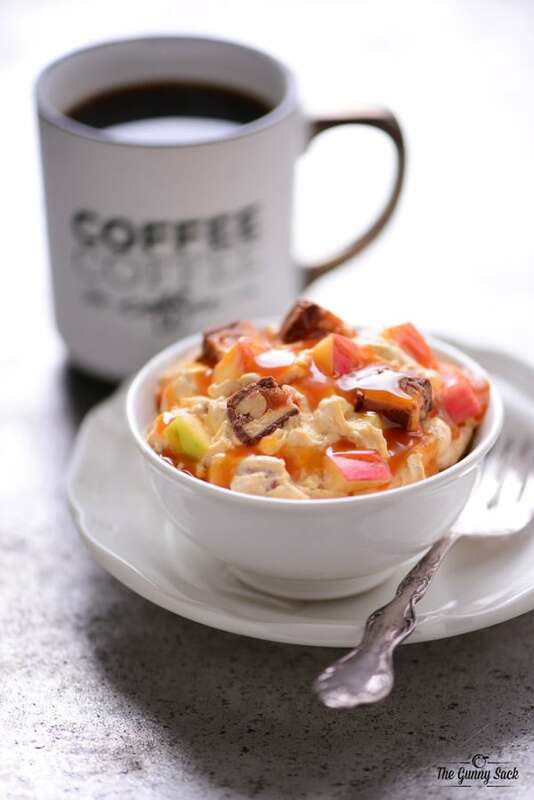 You can drizzle caramel ice cream topping of the Pumpkin Spice Apple Snickers Salad before serving or just enjoy it as it is. The salad is cool and creamy, crunchy and chewy and perfect for fall! Beat softened cream cheese for two minutes. Add powdered sugar, pumpkin puree, and pumpkin pie spice. Mix well. Scrape the bowl and then beat until smooth. Add the diced apples, chopped Snickers, and whipped topping or whipped cream. Stir to combine. Drizzle with caramel ice cream topping before serving.